Welcome to Brookhill is a collection of images that, like poetry, stir emotion. The photographs reveal what this neighborhood – like every other neighborhood – has come to be to its inhabitants: home. 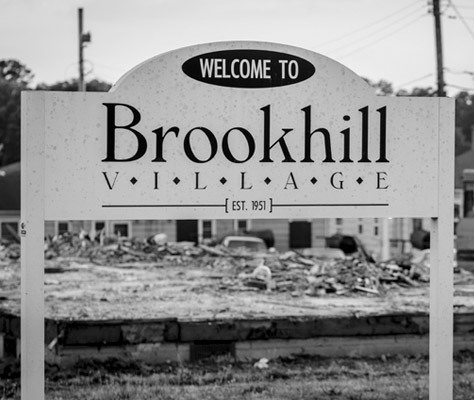 Welcome to Brookhill may not reveal the story one expects when they hear the words gentrification and displacement. The uninitiated consider the land and the now crumbling buildings. Photographer Alvin C. Jacobs, Jr. focuses on the people. Men are raising daughters, grandchildren splash in shallow pools, and neighbors gather on porches. Developers, anxiously eyeing this plot of land across a busy street, must wait, leaving families hanging in the balance. 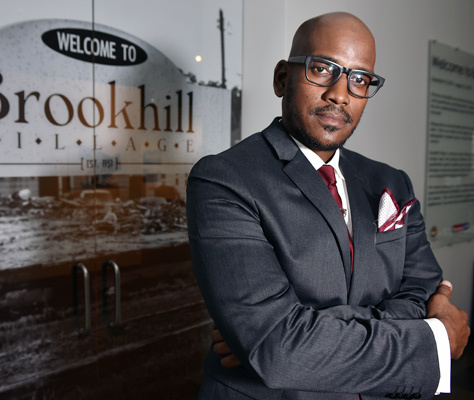 The land where Brookhill Village stands has been an African-American community since the 1930s. One company owns the property that makes up this 36-acre community just south of Uptown Charlotte, another firm owns the wooden, single-story buildings that were developed in 1951. This arrangement has become a quagmire for the owners and, subsequently, for the residents. In Charlotte, the current cost of an apartment averages $1,142 per month. Two-bedroom units are $1,169. With rents ranging from approximately $350 to $515 per month for two bedrooms, prices in Brookhill Village are among the lowest in the city. New construction in South End – a neighborhood just next to the Brookhill community – is one of the most active with thousands of new units currently under construction. Commissioned by the Gantt Center to produce this body of work, Jacobs forged deep relationships with Brookhill Village residents. Relying solely on sun and shadow, he documented his subjects in black & white. There is no artifice in Jacobs’ images nor in his technique. This is his valiant attempt to give voice to those in our community who are often rendered voiceless. What Jacobs has captured in Welcome to Brookhill is a collection of images that, like poetry, stir emotion. The photographs reveal what this neighborhood – like every other neighborhood – has come to be to its inhabitants: home. 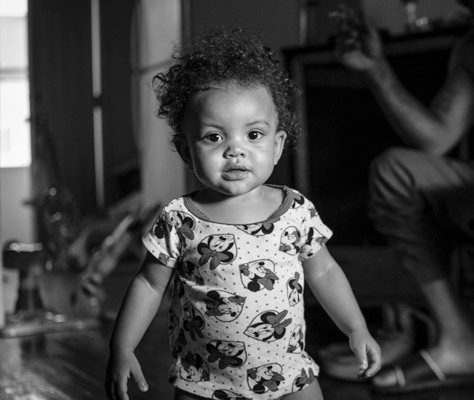 Alvin C. Jacobs, Jr., a native of Rockford, IL, is a professional photographer and image activist currently living in Charlotte, NC. A transplant to the Queen City, Jacobs honed his craft on the front lines of America's social justice movements. He has since emerged as a premier photographer and photo-documentarian. His distinctive aesthetic is marked by a propensity toward highlighting stark contrast and in dealing in the black & white – both in photography and in the world. Jacobs specializes in social documentary and professional sports, portrait, editorial, and fashion photography. He has been commissioned by the NFL, NBA, and NASCAR and has been interviewed by CNN, HLN, Fox News and various local media outlets. Jacobs’ work has been displayed in a Black History Month exhibit for Clifford Chance, LLP in New York and, currently, he is a featured artist in the co-curated exhibition K(no)w Justice, K(no)w Peace at the Levine Museum of the New South in Charlotte and at Davidson College in the photography exhibit Three Steps Back: A Call To Action. Prior to shooting Welcome to Brookhill, Jacobs was commissioned to photograph multiple record breaking dates for Jay Z’s 4:44 Tour. Exhibition design by David Butler, Curator & Creative Consultant, AWOL (A Way of Life, LLC). Data and additional interviews compiled by James E. Ford, Filling the Gap Educational Consultants. Image credits: © Alvin C. Jacobs, Jr. Permanent Collection of Harvey B. Gantt Center.